Ageha is a young shinigami who meets Rinne while investigating the Damashigami company. She initially looks down on Rinne, because he is poor and she comes from a wealthy and respected family, but begins to have feelings for him after spending some time with him. After finding out what that her sister willingly joined the Damashigami company and is Rinne's father's girlfriend, she vows to destroy the Damashigami company. She has since come to Rinne and his friends' aid on several occasions. 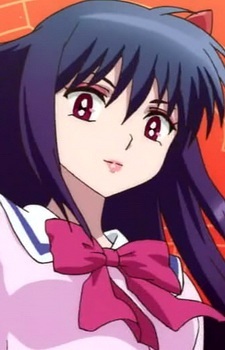 She is often shown to be jealous of Sakura, because she believes her and Rinne have feelings for each other, though Sakura is initially jealous of her when she believes that Ageha and Rinne are dating. According to ch 142, she also knows Renge.